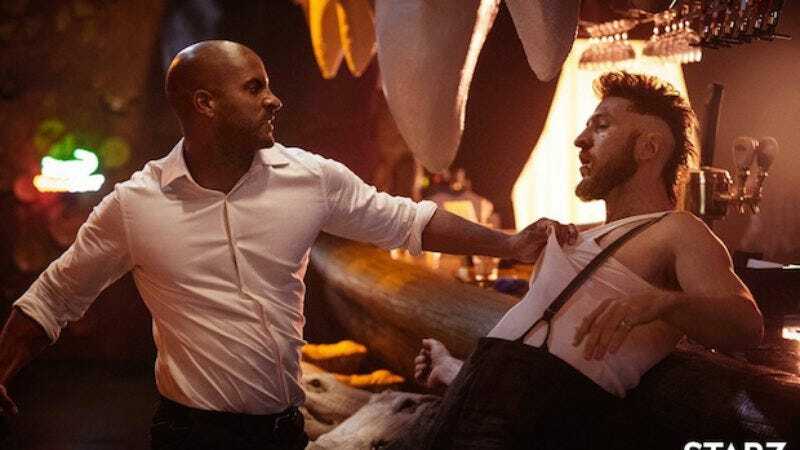 Thanks to Starz, fans of Neil Gaiman’s American Gods now have something to obsess over while they continue to wait on a proper sequel to the 2001 novel (you know The Monarch Of The Glen wasn’t long enough). But Gaiman has far from given up on a follow-up to his cross-country folk tale, the author tells Entertainment Weekly. He admits he’s not currently sitting at his computer and banging out the further adventures of Shadow Moon, but getting back on the road with his protagonist is definitely on his agenda. The big problem I have is having a maximum of one body and one set of typing fingers at any time. Mostly what’s happening is, in the last couple of years, I finished the six-hour-long adaptation of Good Omens for the BBC. I’m wrapping up the Norse mythology book, and right now I’m about a third of the way through the next Neverwhere novel, which is what has to be finished next because it’s the next thing in my head. And then after that, I will probably write a children’s book because there are at least two in my head right now that are jumping up and down, looking rather like small kids desperate to use a toilet, waving their hands going, ‘Me! Me! Look, me, now, please!’ And then I’ll probably start American Gods 2, if there is still a will to write. Starz is reportedly spacing out the series to allow Gaiman some time to work on the novel; the first 8-episode season, which premieres April 30, will only cover the first third of the book.